The most common types of rats in San Diego County are Roof Rats, Norway Rats and Wood Rats. These rodents can carry and spread diseases that are harmul to humans. Rodents can be difficult to keep out of your property, structure and/or home. They often squeeze through spaces as small as a dime and rats can fit through holes the size of a quarter. Mice are also common in San Diego County. These rodents are able to live under a variety of conditions, which enables them to thrive in many different areas. They are great climbers and are ables to traverse cables and wires. This makes every part of your home vulnerable to mice infestations.If you notice Mouse droppings, chew marks or damage to wires and walls; there is a good chance you have a mouse problem. 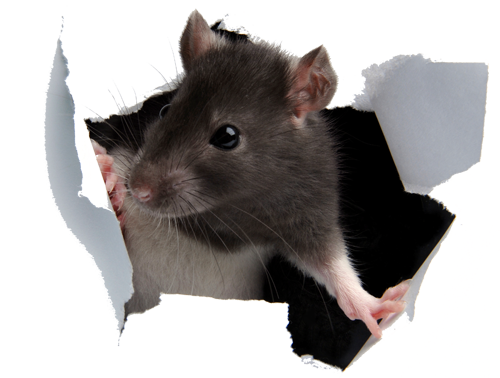 Achieve Pest Management has all the rodent solutions you need. If you have seen or suspect a rodent infestation, we recommend that you contact us immediately before the problem escalates.